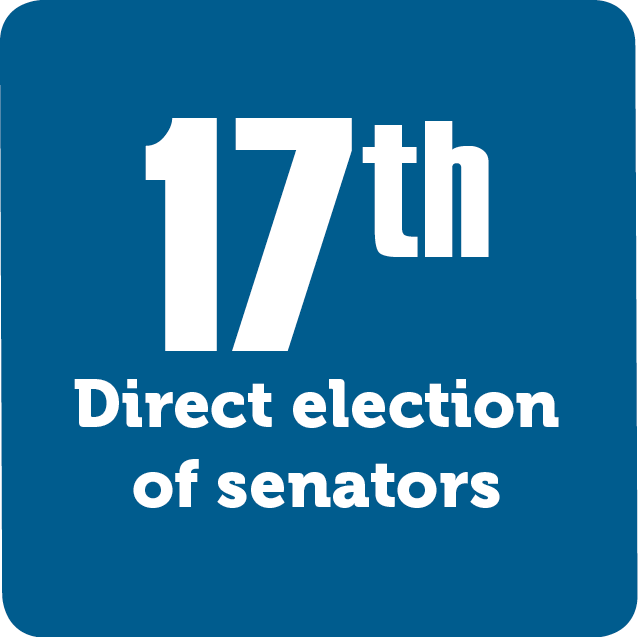 The Seventeenth Amendment allowed for a direct election of senators by the people of the states. Prior to this, senators were selected by the state legislatures. James Madison wanted the states, by way of the Senate, to have a check on the federal government. Among other problems, Progressives felt that this system created corruption and the “purchasing” of Senate seats. The Seventeenth Amendment corrected their concerns and placed more power into the hands of the American people.